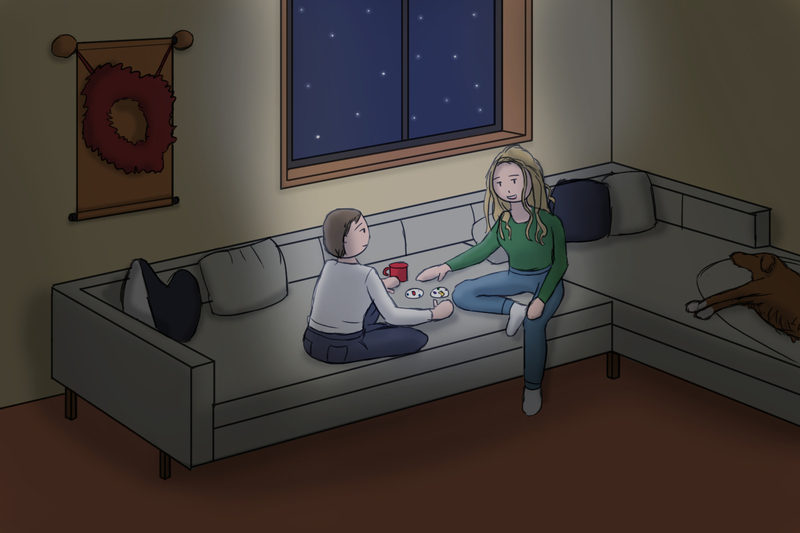 This was a nice piece I got to do for u/thorbeck15, with him and his girlfriend in their living room for Valentines. They absolutely loved it and it was fun to work on as well! Before I started on this, I had no idea what Spot-it was; sue homeschool life for me.